The Norwegian firm OceanSaver, a provider of ballast water treatment (BWT) systems for medium and large vessels, has just marked its 10th birthday with the news that 2013 will be its best ever year for sales. CEO Houtan Houshangi has revealed that the company has secured over 50 orders for its modular Mark II system in 2013, spanning a diverse array of shipping segments. This pushes the number of systems on OceanSaver’s order book above the 100 threshold, with 30 units already installed. OceanSaver’s system, which was recently awarded U.S. Coast Guard (USCG) AMS approval, has found favor with owners and operators in key segments such as gas carriers, bulk vessels and VLCCs, to name a few. 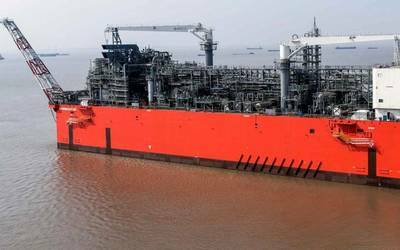 Recent contracts include system orders for LNG and LPG carriers. OceanSaver is jointly owned by BW Ventures and Investinor and employs 40 people globally through its three office locations in Drammen (near Oslo), Shanghai and Busan.